If you stumbled upon my website, it means you are serious about carefully preparing your trip to Florence and, along with all the things you can find here, I want to share with you other useful resources. Today I want to share with you what I think are the top 5 Florence Italy blogs written by US expats. This is a blog on Florence Italy written by an Italian tourist guide, filled with suggestions on how to enjoy a nice holiday in Florence. More than 50% of my readers are from the United States and most of the tourists I drive through the city every day are American as well. I learned to know them quite well, to know what they love and what they are disgusted by in their trip to this “exotic” destination. I also learned the differences between people coming from different areas of this large country, from New York City to Alaska, which make Italy and the US similar in this regard. We definitely have different points of view on many things, and I always enjoy discussing about politics, education, sports, and any other thing, before, during or after my tours. It’s always a nice exchange of ideas, which allows me to discover what American travelers think about Florence, Italy and the Italians, but, at the same time, allows my clients to experience something more than just art and beauty. I think this friendly digressing, which spontaneously happens when I find the right people, is what makes me successful as a tourist guide: more and more people aim at getting a “local” experience, where sightseeing is just a part of the picture. They want to know local people and local traditions, including our point of view on important arguments but also aspects of the daily life. Many Americans live in Florence for various reasons (mainly because they got in love with Florence) and many of them write blogs about their life here. 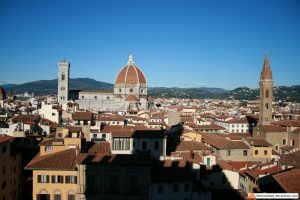 These blogs describe Florence from the point of view of an American, showing a different perspective than my blog, which shows the city from the point of view of an Italian. Georgette is a Texan girl living in Florence since 2007. In her blog, mostly about travel and food, she loves to share her experiences in Italy. She also has a very nice “Locals I Love” section with interviews to local people. As she says, her language is Italiaenglish, because she starts a sentence in one language and ends it in another, but don’t get confused: her writing skills are great and I enjoy reading the blog. You can read about her adventures here: Girl in Florence. Hannah and Meg are two girls who like to explore hidden paths, forgotten streets, free museums, events. They share their walks in their blog, which is a great inspiration for new itineraries in Florence. Everything they suggest is free: no tickets to pay, no lines, no agencies, and you can replicate most of their itineraries which are brilliantly explained, often with maps. 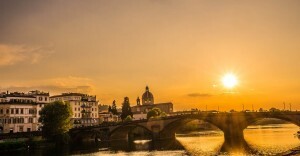 Read about their itineraries here: Florence for Free. M.E. Evans is a girl who grew up in Utah and moved to Florence after College. During her Masters Degree, she fell in love with an Italian, got married and stayed. She writes about her own experience, being married to an Italian, but also suggests travel tips, and provides a great resource for those of you willing to move to Italy. All her blog is written in a humorous, politically incorrect style. You can read her blog here: Surviving in Italy. Melinda Gallo came to Florence for the first time in 1997. Her 3-month trip to study abroad ended up in a 2-year stay. After going back to the US, she came back in 2004, and today Florence is her home and, as she states, her life-companion. She loves to share the feelings that this city can inspire, with beautiful pictures. The blog also has a nice section with resources about Florence. Melinda also has a personal website with interviews to other US expats. You can read her blog here: Living in Florence. Krista is a girl in her 20s who met an Italian boy, got in love and married. Now she lives in Florence, trying to learn the Italian way of living. She likes to explore the city and the cafes, sharing her experiences in her blog. Her husband owns the Monkey Bar, in via della Mattonaia. You can find her blog here: Alla Fiorentina. Do you know about any other Florence Italy blog that would deserve to be in this list? 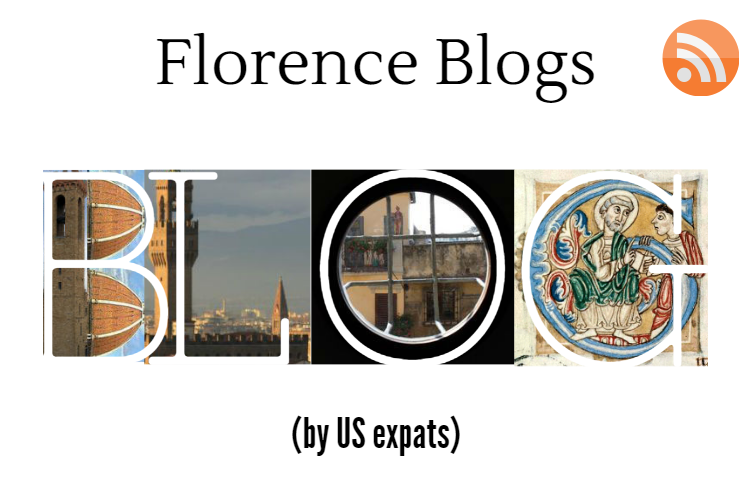 Do you have your own blog on Florence? Join the discussion leaving a comment. A list of the top 5 blogs on Florence, Italy written by US people living in the city.